Bespoke Design - Fully Maintained - Support - Search Engine Optimized- Webmail/Email - Website Updates Included - Plus Much More... A completely managed Information Website custom built to your requirements. Search engine optimized (SEO) and compliant to the latest web standards. Our CMS websites are purpose built to Optimize themselves for the Search engines! With no learning curve you can be updating your website in a search engine friendly manner the moment it is up online. Updates are done through your internet browser from anywhere in the world! A fully featured shopping experience for any business wishing to sell products online. Allow customers to shop at your store 24 hours a day, 7 days a week, 365 days a year. 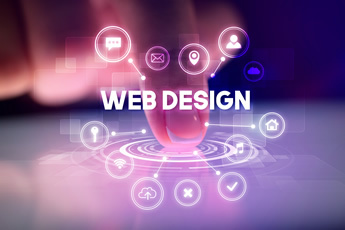 Bespoke Design - Multiple Payment & Shipping Gateways - SSL - Order Notification, Stock Control and more..
Website Design, Hosting, Optimization and Management Specialists. We create inspiring bespoke designs for a wide variety of business websites. From simple information websites to eCommerce and complex but easy to use self optimizing Content Management Systems (CMS). Mobile Responsive and Search Engine Optimized websites built to your specifications.